Saturday, June 16, 2018 - 3:00 p.m. to 4:15 p.m. In 1943, legendary Hollywood director William Wyler (Ben-Hur, Funny Girl) crafted a celebrated tribute to World War II airmen. The resulting film, Memphis Belle, featured the famed B-17 bomber that survived 25 near-suicidal missions over Western Europe against incredible odds. 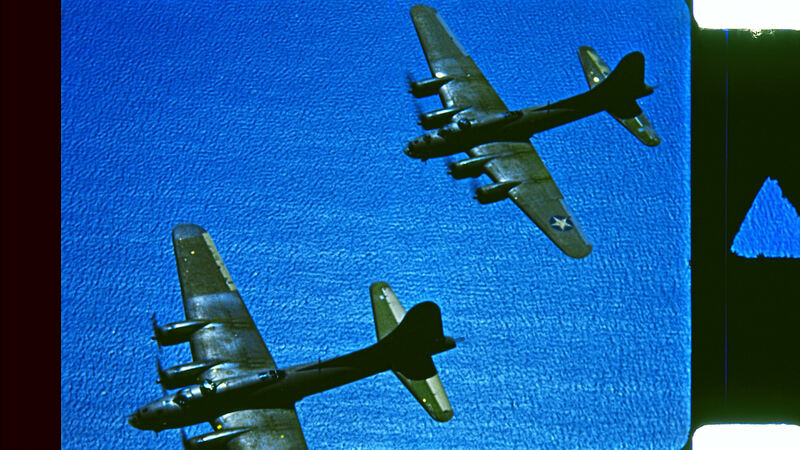 Using long-archived footage from the project in the National Archives, director Erik Nelson has crafted a new film, featuring gripping narration from some of the last surviving B-17 pilots, now in their 90s. Flyers as young as 19 endured treacherous 14-hour missions, temperatures of 40 below zero, nonstop barrages of enemy attacks, and emotional gut punches as thousands of their fellow airmen never returned. The Cold Blue (73 minutes) is a meditation on youth, war, and stunning bravery. Seating will be limited, and registration is recommended. Register online at the above link.